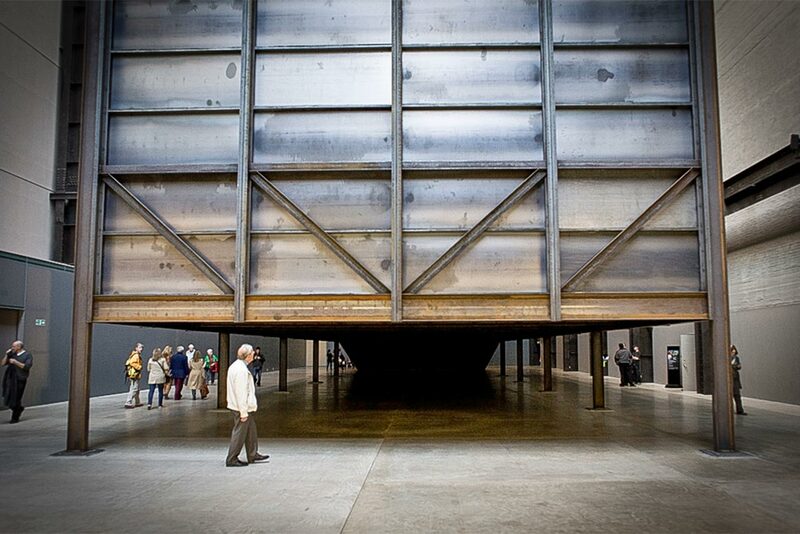 “How it is” by Polish artist Miroslaw Balka was installed in the Turbine Hall of Tate modern from October 2009 to April 2010. 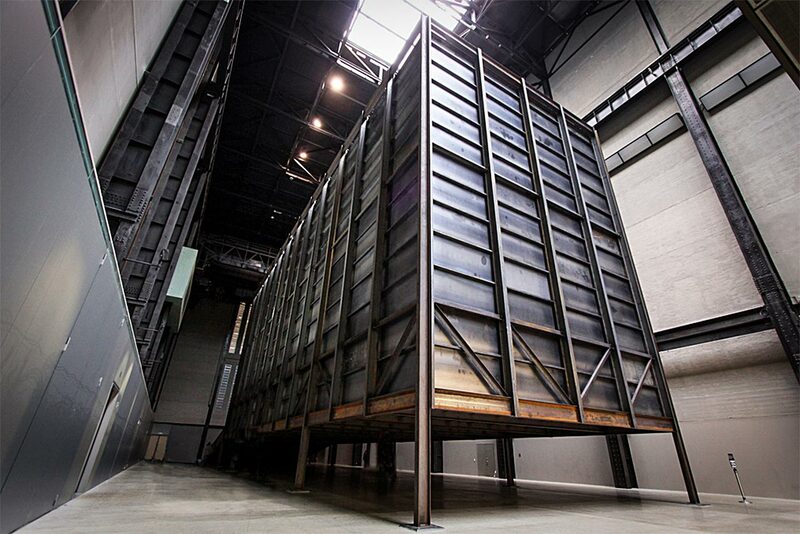 Supported above the floor on 2m high columns it consisted of a huge steel box not unlike an oversized shipping container 13m high, 30m long and 10m wide. 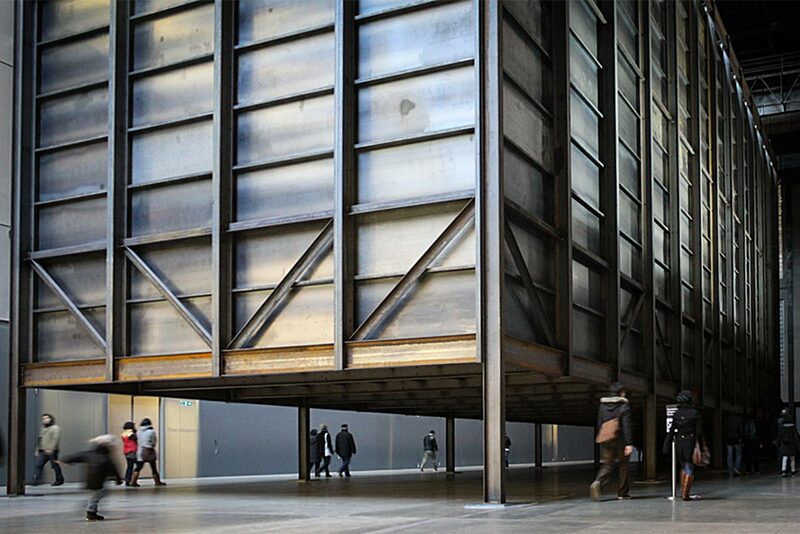 One end was left open with a draw-bridge like ramp so the public could enter the inside of the box. 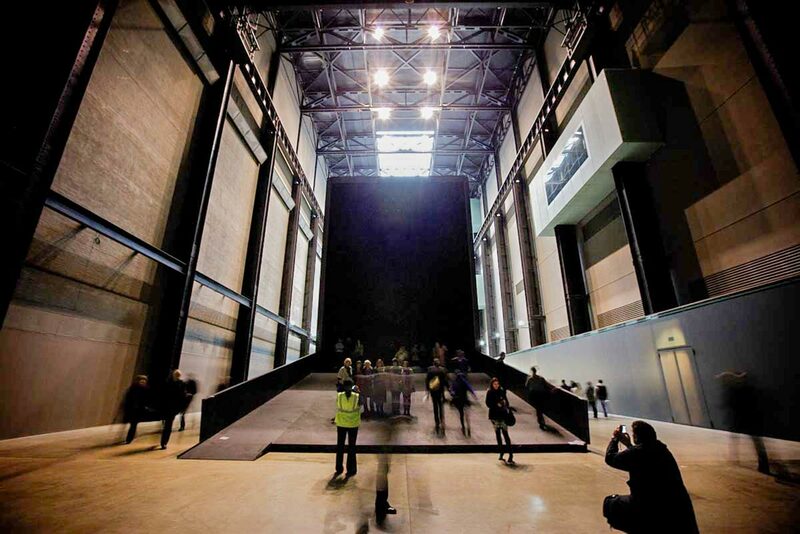 To achieve the dark void effect that the artist wanted the internal steel plate cladding was finished in a soft black flock material 10 times darker than black paint. 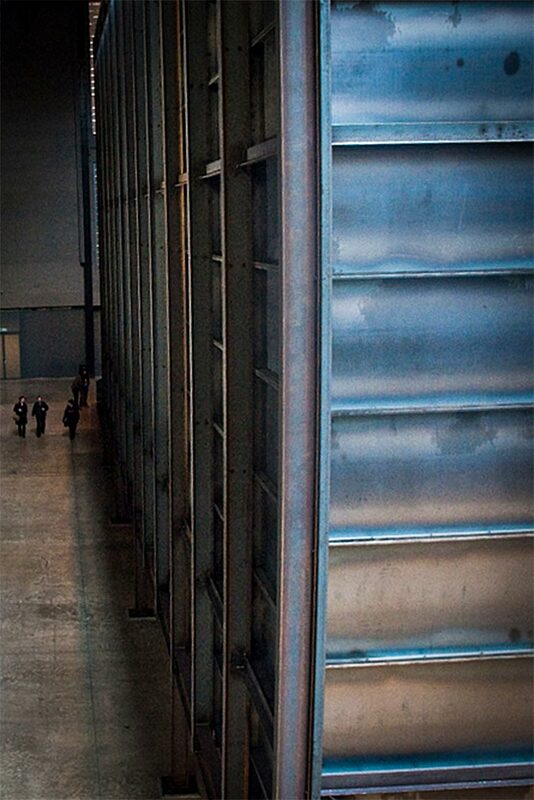 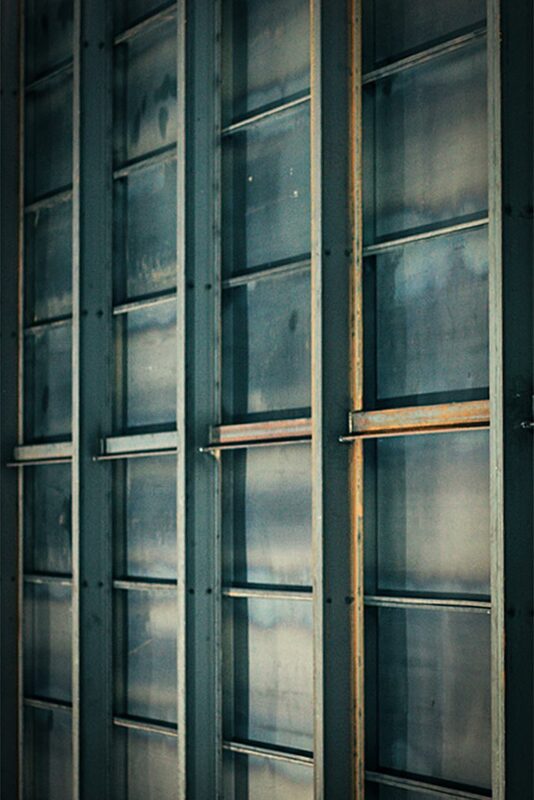 The modular steel frame was fabricated and pre-assembled as 2.5m wide panels at our workshops before the whole structure was put together on site using mechanical fixings instead of welding which reduced installation time and the amount of disruption to the gallery during opening times.